Our vision DAVA Foods wants to be the most value adding partner in our categories in Northern and Western Europe. 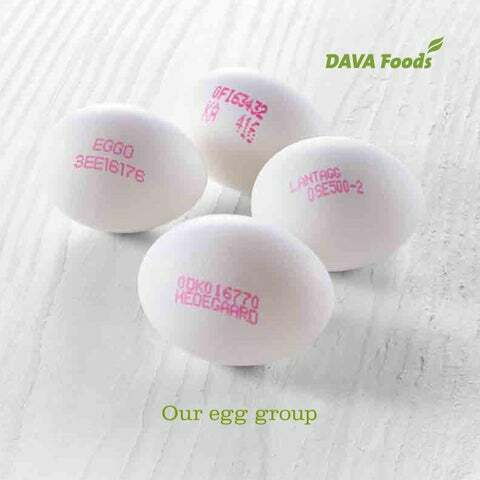 The DAVA Foods group consists of seven companies and handles approximately 1.5 billion eggs a year. The group processes, packs and distributes fresh shell eggs and a variety of cooked and pasteurized egg products and egg powder. The group has six packing plants and three product factories in Denmark, Sweden, Finland, and Estonia. In 2014 a new business area was established: a packaging company, which develops new innovative egg packaging. DAVA Foods expects its annual group turnover in 2015 to exceed EUR 170 million after acquisitions in Finland and Estonia. Through the ownership structure DAVA Foods has deep roots in agriculture and the animal feed industry in Northern Europe. A total of 300 dedicated and competent employees at DAVA Foods are working every day to maintain and strengthen our partnership with our customers. We serve and supply a market of 28 million consumers in Northern Europe. Competitive power is essential to us. We constantly try to do everything a little better, a little more efficiently, and to ensure that everyone benefits from our quest for ongoing improvement We emphasize openness and honesty in all dialogue, always while focusing on the task at hand. Through innovative solutions, DAVA Foods wants to help develop this business for everyone involved. Our goal is to grow further in the coming years, partly through new acquisitions and export and partly through organic growth in existing markets. Growth will be supported by increased focus on innovation, product development, and marketing. DAVA Foods is currently one of the most important suppliers of fresh shell eggs in Denmark and supplies almost half of the eggs consumed in Finland and Estonia as well as a quarter of the eggs used in Sweden. That position was obtained through stringent efficiency, by focusing on the tasks at hand, and by challenging the business with benefits to the entire value chain. A historical flashback from the Estonian packing station in Tallinn. ·· In 1980 FARM-ÆG was taken over. The company focused on pullet breeding, egg production and a small egg packing plant. At the time the market share was 2 % ·· In 2002 a step from egg packing to full-blown food company was taken by acquiring the company Brødrene Honum ·· In 2004 the evolution continued as the product factory was established ·· In 2011 Svenska Lantägg was acquired, and instantly the group became an important player on the Swedish market ·· In June 2014 50 % of the shares in Munakunta were bought ·· In the beginning of 2015 an acquisition in Estonia was made. The acquisitions were an important milestone, reflecting the 2010 strategy to follow the rest of Danish Agro group and become a major force in the countries around the Baltic Sea. There is good potential for an international egg business that is able to match the expansion of the retail sector internationally, and being part of a single group creates synergies between companies to strengthen competitiveness and profitability. The acquisition strengthened the position as the Nordic countries’ biggest foods group within eggs, boiled and pasteurized egg products. The retail customers want large volumes, competitive prices and innovative products, along with proactive marketing. We create added value in many ways: through product development, innovation and marketing. As the market leader in Scandinavia we have the strength to make our own ideas and the wishes of our customers come true. Whenever we develop new products and concepts, we do so on a firm empirical basis: everything is based on in-depth insight into consumer behaviour and market opportunities. We are fortunate enough to enjoy uniquely close co-operation with our customers. The trust that our customers place in us is reflected in their willingness to try out new – and sometimes surprising – concepts. To the benefit of all. Apart from offering shell eggs from all production systems (organic, free range, barn, and enriched cage eggs) we supply a range of egg products, merchandise and concepts reflecting trends and consumer needs. Eggs are an important ingredient in the kitchen; both at home and for professionals. At DAVA Foods an egg is not just an egg. We strive to make our products even better by continuous product development and testing. We explore and challenge the egg’s functional properties, such as whipping ability, emulsifying ability, baking ability etc. And we use our findings to adjust our products – or create new ones. We know that heat treatment at high temperatures causes denaturing and coagulates the proteins in the egg. A combination of lower pasteurization temperatures and increased time is therefore essential to maintain the egg’s qualities and to achieve the desired kill-effect on bacteria. The group offers a wide and deep range of eggs, which are adapted to food service and the food industry in North and Western Europe. We deliever all kind of pasteurized egg products, boiled eggs, egg powder, semi-finished and finished mixtures. We deliver on prescribed customer recipes. An egg is in itself a generic product and as such is traditionally hard to differentiate in relation to other providers. Our strength lies in our ability to see new possibilities and new ways of marketing and communicating our products. In some ways we turn this business on its head. eggyplay® is an example of how we have spotted a gap in the market, filled it, and thereby created added value for all parties. New concepts, packaging and products help increase value for all. One example is the SHAKER series, which reflects the current trend of convenience products. A product that makes the consumer’s busy everyday life easier without compromising on quality and taste. New research increasingly recognizes the egg for its nutritional properties and high content of essential vitamins and minerals. We have gone a step further and have developed concepts that not only meet the hens’ needs, but is also optimized to meet the needs of humans. Our Vitamin D eggs have a naturally increased level of Vitamin D corresponded to almost 100 % of Recommended Daily Supplement. Our Livskraft™ egg (vitality) is fortified with e.g. vitamin E, selenium, and lutein. It is a great pride to present our latest product innovation: a protein sensation launched under the name white™. white™ is a concentrated protein drink based on pure egg white. white™ stands out from other protein supplements because of the comparatively high amount of protein in such a small product size. PROTEIN Contains all the branched chain amino acids! Before using as toy, wash in dishwasher at min. 65 째C to reduce risk of bacterial contamination. Do not sit or stand on the boxes. The boxes will break under excessive pressure. The packaging company was founded in 2014 based on a strategic partnership between DAVA Foods and the Dutch packaging group Twinpack. Taking its point of departure in innovative packaging solutions, the vision behind the company is to add extra value to the egg category for retailers and consumers alike, thereby generating added value within the global egg industry. Europe alone consumes eight billion egg trays per year, and the number is growing. eggyplay® is an excellent example of the kind of product that the company can give extra lift and momentum in the marketplace. eggyplay® is a patented egg box design made from colourful plastic. The eggyplay® egg boxes are made from moulded polypropylene. Once empty and washed (they are dishwasher safe), the colourful, interlocking boxes can be used as toy building blocks, giving children hours of fun. At present the egg boxes come in packs of eight featuring four different colours; more colours and themed designs will be launched regularly to reflect the changing seasons and holidays. The eggyplay® boxes are CE certified and approved as toys. The concept was launched in the autumn of 2013 and since then things have progressed rapidly with huge interest from many different markets, near and far. Organic eggs and egg products are a major and important part of our business. In line with increasing demand, we are constantly developing our range. Scandinavia has spearheaded the movement towards organic farming and organic food in many areas, and eggs are a prominent part of this evolution. DAVA Foods actively supports organic egg production and as a strategic target we aim to generate 50 % of our turnover from organic products in 2020. Indeed, this is also driven by general consumer demand: at present, one in four of the shell eggs supplied to retail chains in Denmark is organic, and the demand looks set to grow even greater. As an added bonus, all Danish organic eggs supplied by DAVA Foods are guaranteed to come from hens that have been bred and reared organically from the time they themselves were eggs. To ensure animal welfare, we conduct on-site screening visits. In cooperation with business stakeholders we developed a screening tool which enables us to form a realistic picture of the welfare of organic hens. With the help of such screening and specific action plans in case of any problems on a given site, egg producers can positively influence the welfare of their flocks. We are confident that screening visits make a difference for organic egg production and that an active, ongoing dialogue with the producers will ensure animal welfare and high-quality eggs. The new tools will also help to reduce the risk of future welfare problems. The DAVA Foods group is sponsoring a school project in Tanzania, Africa. The Victory Nursery School in the Majengo District is preparing children aged 4â&#x20AC;&#x201C;8 for primary school. The distict is very poor and many children are growing up with parents who suffer from alcohol and substance abuse. Helping the children to attend school and ensuring them one daily healthy meal will contribute to the society in the long run. Health problems, both physical and psychological, can be discovered at an early stage. Less school drop-outs mean less abuse of alcohol and drugs, and less crime in the future. It is a long term project we will follow closely. We want to act responsibly towards the environment in which we operate. This is done through good and constructive cooperation with our customers, suppliers, employees and other stakeholders. We place requirements on our suppliers and encourage them to act responsibly when delivering products to DAVA Foods. Products must be produced with due consideration for their social, environmental and health and safety aspects. We support our local communities and are committed to treating all employees well. We offer flexible employment with proper work-life balance and provide our employees with the best possible working conditions. DAVA Foods continuously optimizes logistics. A major step was taken in 2010 when egg collection switched to plastic trays and pallets. This allowed us to have even more eggs per pallet, thereby reducing costs as well as the environmental impact. 60 % of all our eggs are transported in our own vehicles. By using our own drivers to deliver and pick up the eggs we ensure a consistently high level of service to our customers and manufacturers. We are continuously working on minimizing the environmental impact and CO2 emissions. Our own drivers take part in driving skills training to reduce diesel consumption. All lorries are fitted with class 5 diesel engines. Logistics are also optimized by consolidating goods on the lorries, coordinating pick-ups and deliveries where possible, and ongoing route planning and adjustment. In Finland we achived the Green Fleet award a Equally important is the optimization of resources in our production. For example, we closely monitor and optimize our consumption of electricity, water, chemicals, etc. In Sweden we take part in the REPA organization’s recovery system and a system has been established for internal recycling. We strive to reduce or even eliminate waste in our production. All broken eggshells are dried and used for animal feed and fertilizers, while all discarded eggs are used for biogas production. Our packaging is made from recycled paper and recyclable PET plastic. All pulp trays are compostable and labels are FSC marked. Our Swedish and Finnish plants are certified to ISO 14001, and DAVA Foods in Hadsund is also working towards an ISO 14001 certification. We promise quality — and deliver on that promise! All company activities are BRC certified at level A. We are also KAT approved at the packing plant in Denmark, a German industry certification for eggs and egg products. Consumers should never doubt the quality and safety of our products. It is our responsibility to ensure that raw materials and production processes result in consistent and high quality. Quality is not only essential for our customers but also for the breeders, egg producers, and the animals themselves. The Farm to Table concept is based on the HACCP principles, which set rules for food safety from harvest to consumption of the product. We developed this system in cooperation with egg producers and strive for continuous evaluation and improvement. In close dialogue and cooperation with our farmers and feed suppliers, we ensure quality throughout the value chain: in the hatchery, rearing, egg production, logistics and the feed that the pullets and chicken eat. We control and ensure quality across the entire value chain. Feed of high quality and safety is essential for efficient production and high food safety. We vouch 100 % for the feed used. Our business is founded on high food safety and quality. The “Farm to Table” quality system is a cornerstone of our business base and sets high standards for quality, food safety, production and animal welfare. 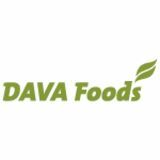 DAVA Foods is part of the Danish Agro group, which have approximately 3,400 employees and an annual turnover in the region of EUR 3.5 billion. The Danish Agro group comprises a range of agro-industrial companies in Denmark and abroad. Each company shares the overall objective of creating value for individual farms, always while working closely together with all its customers. The group mainly works within the sale of feed, raw material and vitamin premixes, fertilizers, crop protection products, seeds, machinery, and energy and with buying crops from the agricultural sector. The group has seen rapid development in recent years â&#x20AC;&#x201C; partly through organic growth and partly due to a carefully considered acquisition strategy. Today Danish Agro is well equipped to face and adapt to the ongoing structural developments within the agricultural sector. All acquisitions and mergers have been governed by one overriding concern: they should enable the group to promote greater efficiency and to leverage the synergies made possible whenever companies join forces for a common good. As part of the Danish Agro group, the DAVA Foods group also enjoys the backing of a partner with genuinely strong purchasing power. This position of financial authority, paired with a keen sense for quality and responsible behavior, helps ensure that feed, etc., is set at the price points that help promote high quality throughout the value chain. The financial clout of the Danish Agro group also allows us to remain firmly committed to our strategy of acquisition and growth even though the market is characterized by strong competition. The Danish Agro group not only has the power of its convictions; it also has real staying power.